London, April 17: Fugitive liquor baron Vijay Mallya on Wednesday expressed concerns over Jet Airways crisis. Mallya in a series of tweets sympathised with Naresh Goyal, the founder of crisis-hit Jet Airways and slammed the Centre for bailing out only Air India. Mallya tweeted, “Even though Jet was a major competitor to Kingfisher at the time I feel sorry to see such a large private airline on the brink of failure when Government used 35K crores of public funds to bail out Air India. Just being a PSU is no excuse for discrimination.” Vijay Mallya Fails to Delay USD 40 Million Diageo Claim; UK Court Orders to Pay Legal Cost of 34,000 Pounds. The fugitive liquor baron also questioned the government over the failure of private airlines in India. He tweeted, “Even though we were fierce competitors, my sympathies go out to Naresh and Neeta Goyal who built Jet Airways that India should be extremely proud of. Fine Airline providing vital connectivity and class service. Sad that so many Airlines have bitten the dust in India. Why ?” Vijay Mallya Tells Bombay High Court: Confiscating Properties Draconian, Not Help Creditors. On April 8, the United Kingdom court, rejected Mallya's appeal against extradition order. 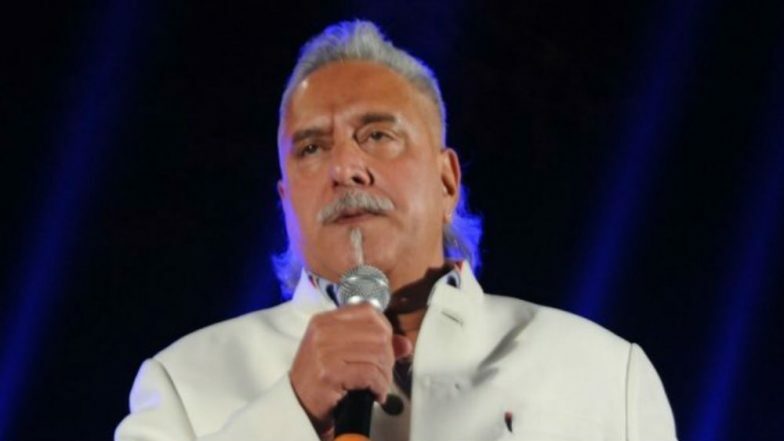 Earlier in February, Mallya had filed his application in the UK High Court, seeking permission to appeal against an extradition order signed by the British Home Secretary. The 63-year-old businessman is wanted in India on alleged fraud and money laundering charges amounting to an estimated Rs 9,000 crores. Since March 2016, Mallya has been based in the UK and remains on bail on an extradition warrant executed by Scotland Yard in April 2017.